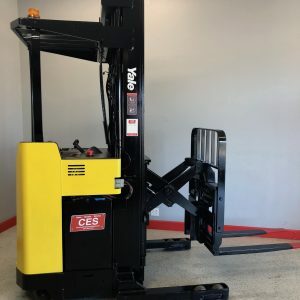 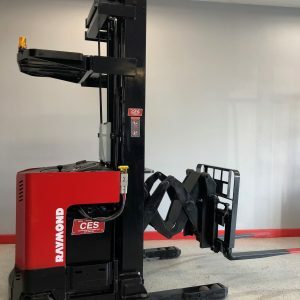 Categories: Electric Stackers, Narrow Aisle Fork Trucks Rancho Cucamonga & Ontario CA, Electric Forklifts Riverside & Ontario, CA, Electric Walkie Stacker, Electric Pallet Jack. Tags: 3 Stage, Electric Stacker, forklift, forklifts, New Stacker, Stacker Forklift, Stacker Forklifts, Straddle Stacker, Straddle Stackers. 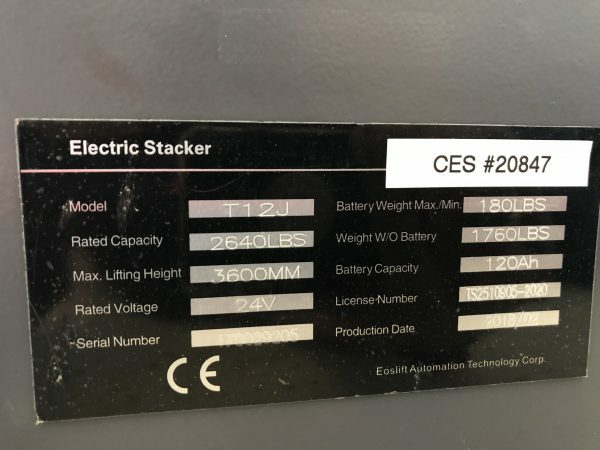 New Electric Straddle Stacker for sale. 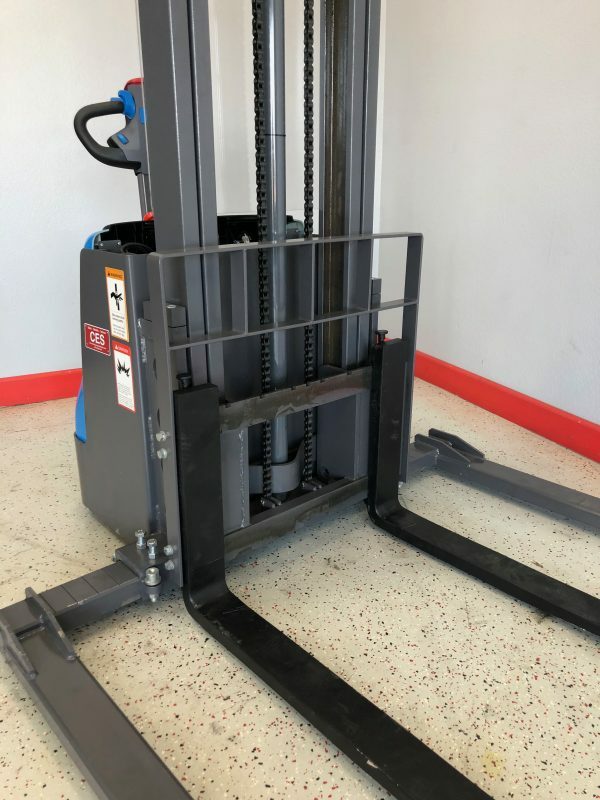 This new stacker runs extremely smooth and strong. This New electric stacker is a great value at $5,950. 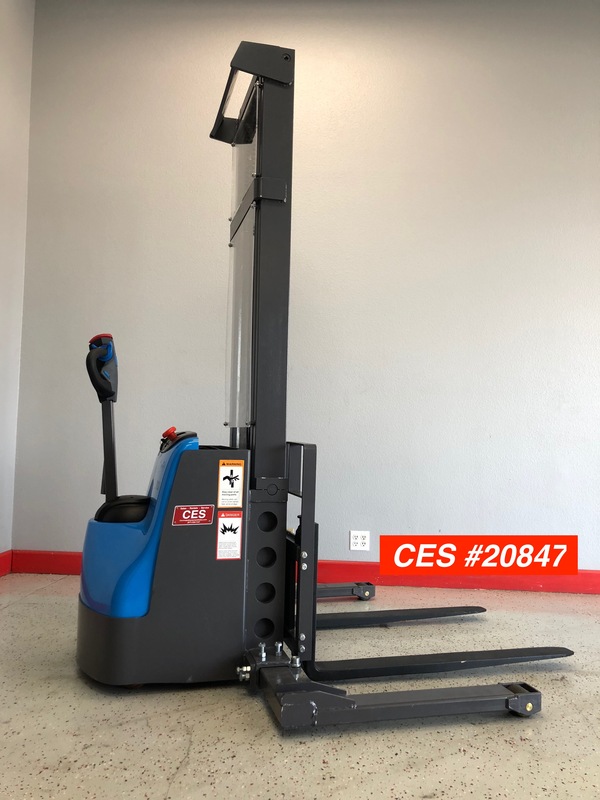 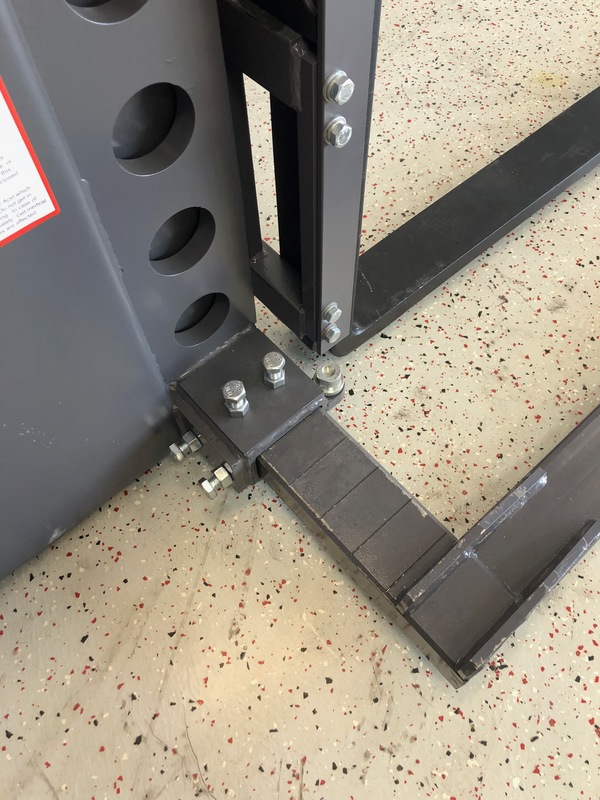 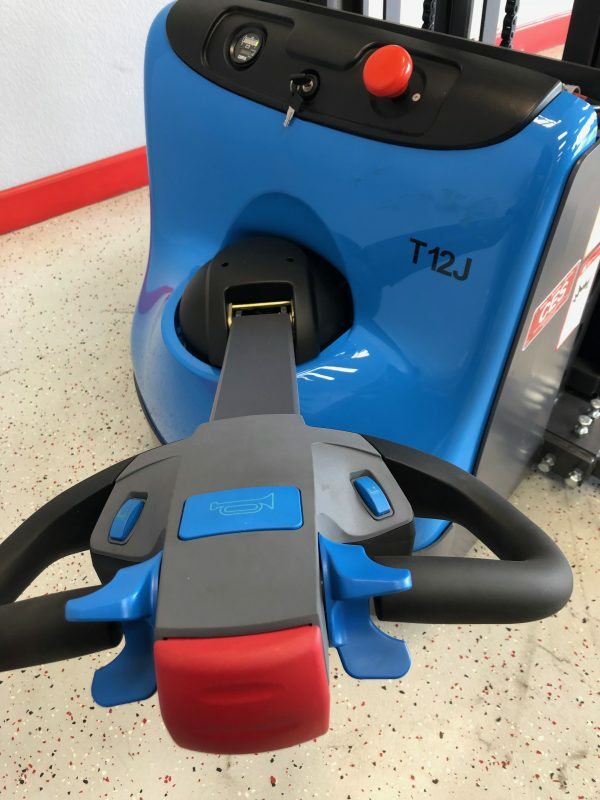 This Stacker has adjustable load arms and it includes an onboard 110 volt charger for easy charging. 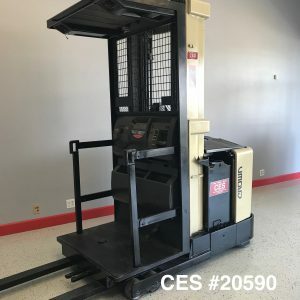 Call Today to schedule a time to come test it.